I’ve received a number of unconfirmed reports that a bike rider was killed this morning in a collision on Laguna Canyon Road in Orange County. One person reports driving by the collision site and seeing a body covered up by police, following what appeared to be a collision between a bike and a minivan. Another report places the site near Highway 133. Update: The Orange County Register has just confirmed that two cyclists were struck by a Toyota Corolla around 8:50 am, one fatally. They place the site of the collision on the southbound 133 Freeway (Laguna Canyon Road) north of the 73 toll road, just outside the Laguna Beach city limits. A comment from Mike puts it halfway between the 405 and the 73; a satellite view shows a wide shoulder at that point. According to the paper, the driver remained at the scene; unfortunately, any other details are hidden behind their paywall. Mike reports that the car had a crushed windshield; combined with the wide shoulder and relatively straight highway with limited access points, that would suggest a hit-from-behind collision. This is the 41st bicycling fatality in Southern California this year, and the fifth in Orange County. Update 2: More details are coming in. According to the Laguna Beach Independent, the victim killed in today’s collision was a 53-year old Mission Viejo man, while the injured rider was a 48-year old man from Fullerton. The Orange County Coroner’s office identifies the victim as James Mitchell Waller, and places the time of death at 8:48 am; a comment below says he was the former City Manager of the City of Westminster. The surviving victim, is identified below as Kevin Beach, fleet superintendent for the city. He was taken to Mission Hospital; a comment says he is awake and alert, and no longer in critical condition. According to Laguna Beach Patch, the 25-year old driver was traveling at 60 mph when she drifted onto the should of the road and hit both riders. She was questioned at the scene, and no arrest has been made at this time; alcohol use is not suspected. A driver following shortly behind the Corolla witnessed the collision and stayed to aid the victims. I was at the scene this morning on my way to work, two cars back from the accident when it happened and saw it go down. The two riders were struck from behind by a small white corolla-type car going about 60-65 mph (not sure why that car drifted into the shoulder). The rest of us who were there did what we could to help by directing traffic, calling 911, and talking with the conscious rider, who was responsive but in shock, while the other who died was non-responsive nor breathing right after the accident. Paramedics arrived around 5 minutes later and pronounced the fatality. The driver of the white car stayed (thankfully) and those of us who were there gave statements to the police. The previous post was correct – they were riding black/white Specialized frames. I am still in shock from seeing the accident and am praying for the families of all involved, including the woman driving the white car. My prayers and deepest sympathy for James Waller, and all his family and loved ones. And prayers and best wishes for Kevin Beach for a full and speedy recover. Update 3: The OC Weekly offers a good profile of Waller, including his career with the Westminster Police Department. i cycled by the site this morning at about 9.20am. the cyclist ‘s body was covered with tarp, definitely fatal. looked like he/she was riding a black/ white specialized bike. a group of kids (maybe high school or college) were sitting on the curb. there were maybe 4-5 of them. and the car was one of those small minivan type… blue. the site was just after cresting the final riser heading south bound on the 133. cars were backed up to quail hill almost. Rode by there too and talked with one of the fire department crew on seen. 2 cyclists. Both hit. One fatal. Both bikes I saw were crushed. Front RHS windshield on car took the impact. Sad to see. It was on the SB 133. 1/2 way between the 405 & 73, right hand side. Kevin was airlifted to Mission Hospital. Knew and worked with both men. Great guys, avid cyclist, so sorry for this horrible loss. Many hearts broken today. RIP Mitch, and Kevin I’ll pray for your speedy and full recovery. Joel, was the driver arrested? David: The driver was with the police when I left, being questioned in a separate squad car. I can’t say for sure whether or not she was arrested. Thank you Joel. And, sorry I didn’t say it before but, thank you for helping the cyclist who survived. I don’t know if you ride a bicycle but what you did means the world to those of us who do. As David said, thank you for stopping to help both victims. When something like this happens, it reminds us all how vulnerable we are. I’m sorry you had to see it unfold and I’m especially thankful that you stopped to provide aid to the 2 riders. It’s really sad to hear about this as this is my route sometimes and the roads are wide as is the bike lane. I see it all too often when drivers drift over into the bike lane. OMG, Joel. My heart goes out to the cyclist who died and to the cyclist who was injured. What a horrible, horrible event. The families will be devastated. Thank God you were there. I was driving through the canyon at approx 1045am. After a long delay I drove past the fatal scene. I saw a small to mid size white vehicle that was smashed at the front passenger side. The covered victim appeared to have been launched over a guardrail. The bike was shattered and in tatters. A mile up the road I saw a couple riding their bikes toward town. I had to wonder if they knew how defenseless they are against a distracted driver. Very sad…very sobering. Update, Kevin is out of critical, broken bones and torn flesh, but awake and alert. The riders were not thrown over the guardrail, though the one who survived (Kevin) may have hit it because he was laying right by it before the paramedics arrived. The other rider (Mitch) ended up close to the shoulder but in the #2 lane, probably blocked by a CHP car when you drove by. Riding there is, for all intents and purposes, the same as riding on a freeway. Drivers think they are on a freeway and would never, except for a few pathetic and easy-to-miss signs warning for bikes, have any expectation of cyclists on the shoulder. Even if it was a freeway, since when is it okay to drive on the shoulder at 60+ mph?!? Given how many cyclists ride there, and the long stretches with no cross roads, this is a road that might do well with barriers alongside the bike lane. My thoughts and prayers to out to the families of all involved. I have ridden the canyon road often. On the east coast there are notches in the road that alert drivers that they are drifting. 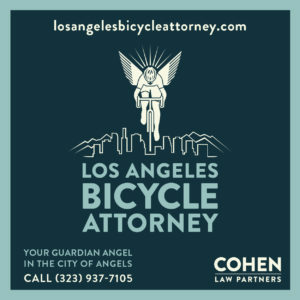 It is time for southern California cities and counties to get off their asses and start protecting cyclists. Something has to be done. Best from Key West FL, where there is a separate bike lane away from traffic. I’ve ridden on stretches of highway that allow cyclists very treacherous. However, it makes me think if they’re posted signs “waring motorists of cyclist on the shoulder”. Second, since the passenger side of the white van was damaged obviously indicates “the van” drifted onto the riders”. If the driver confessed to being on a mobile device, kudos.It takes a truly honest person to accept responsibility for their action however tragic. If not. I wonder if law enforcement can exert their powers of subpoena and determine if a mobile device was used at the time of impact. Tragic all around especially when the tragedy happens to city official. Thank you all for the information you’ve provided, which kept us all informed and allowed me to report details that go far beyond what has been reported in the press so far. I hope the police check her cell phone records, texting? This is so sad to read/hear about. I send healing vibes to Kevin and send pos thoughts to the family of Mitch who must be dealing with great sorrow. Hug your friends and family folks..life is precious. Be careful out there people…both in cars and on bikes. Share the road everyone. PLEASE; To All the cyclists reading this blog… Our ONLY defense, at this time, is to ride with fully charged, ULTRA-Brite Lights Day AND Night…that give any driver OVER a QUARTER MILE advance warning of our presence… Hit from behind fatalities out number all other accident types combined almost 3-1… and Yet, NOT A SINGLE FATALITY ACCIDENT HAS OCCURRED WHERE THE CYCLISTS HAD ULTRA BRITE LIGHTS ON AT THE TIME OF THE ACCIDENT… I ride with at least THREE at ALL TIMES (Helmet, Seat Post, Seat Stay) and hope that all of you will do the same immediately. Very often, we are literally invisible… This is NOT a defense for careless drivers, just the harsh reality of 4,000 lbs. of fast Steel vs. 100+ lbs of flesh. See bicyclelightreview.com for a non sponsored/evaluation of lights. A light doesn’t matter Mark, if they aren’t looking at the road. Cell phones should have the same status as alcohol. They should be in the trunk when driving. DEAD, withOUT lights…over 1,000… DEAD WITH lights…0, ZERO, NADA… you’re KIDDING,,, right??? Have YOU studies college statistics? I have… you are taught and learn not to care about the reasons why… just listen to the numbers, and NOT DIE…! You might have a good point, but your writing style makes you sound like the timecube guy, which I think makes a lot of us not take you as seriously as maybe we should. Something to think about. Mark which lights do you use? I agree with your franticness. I’m at a point after more than thirty five years of riding I won’t get on a bike without extreme precaution. Good lights may be able to prevent a tragedy. I read the bike URL but I’m still confused, I’m looking for three sets of lights (GOOD), that can be used for three – four hours? Thanks for the reply. Also, does anybody know if a car auto policy covers a bike rider? And, not trying to be morbid but is there bike accident insurance? Might as well max out to be on the safe side. Thanks and be safe everybody. Hi; On the road bike, I wear a Serfas TL60 on the helmet, a Dinotte 300R on the seat tube, and Serfas Thunderbolts on the forks and stay. If you read the review. there are other excellent lights as well. I try to always have at least three on…. and fully charged. The Thunderbolts are great lights, but only have a runtime of two hours… so they get turned off when not on the road…which is not a worry with the Dinotte or TL60…. The Planet Bike Superflashes run forever…although I suggest religiously recharging every light weekly. 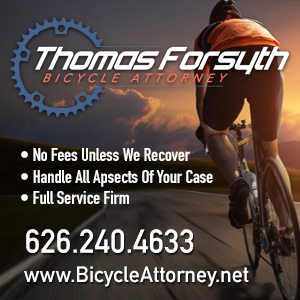 In California, your auto insurance covers you regardless of vehicle, and your bike is considered a vehicle for the purposes of the law. So yes, it will cover you for liability, as well as the uninsured motorist portion of you coverage, which kicks in if a driver doesn’t have insurance, or has inadequate insurance. My car policy paid my medical expenses after I was run down by a road raging driver, then sued her insurance agency for reimbursement. Not sure if your auto policy will cover damage to your bike; however, your homeowners or renters insurance may cover damage or theft. 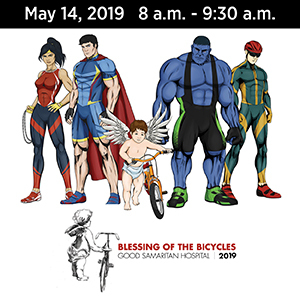 As for bike insurance, you can get bike coverage and roadside assistance from the Better World Club, an alternative to AAA that, unlike the auto club, doesn’t use your dues to fight bike safety measures. Buttercup, I use a Dinotte. I don’t think you can get any brighter. Thank you for the responses. It looks like I’ll be springing big bucks for some good lights. And bikinginla thanks for that cyclist friendly roadside service plan. I’m not sure if it’s apropos but do you think an article about preparing (for a cyclists) point of view of what do if (one is hit) and the consequences as they stand here in the state of California? Just to be prepared. Know what I mean? I’m sure other cyclists can cue us in on what to we need to prepared for? Perhaps, there is an article here that addresses those issues you can’t point me in the direction? Granted I don’t like to harbor on the negativity but these collision reports are a wake up call. Thanks and safe riding everybody! Buttercup, not sure if this is what you’re looking for, but I previously offered advice on how to conduct yourself before and after a collision. I bet the driver was on a cellphone,,good lord I hope shes not texting,seen this situations so many times on the road,unless the car has mechanical issues that caused swerving..my prayers to the victims families.. It breaks my heart to be reading about this, from all the way across the country. I’ve ridden this road myself — for fun — too many times to count. Long, straighter sections of road with consistent grades, good sightlines and wide shoulders may give the illusion of safety, but make drivers believe they can go faster, not pay such close attention, and fiddle with their electronics. I bet that’s what happened here. I hope the police check rigorously. I am in utter shock over this tragedy. I always felt safe with these gentlemen while I trained for my first Amtrak Century as BOTH of them were very conscious riders. Heart felt prayers for Mitch’s family and for a speedy recovery for Kevin. thank you, Mark for your comments. I ride both mountain and road bikes and I appreciate greatly your stats on the Ultra-bright lights. It makes me so incredibly sad that information and information–and lot of it incorrect- is not being covered by journalist media in Orange County regarding the death of an almost three decade police officer, who became chief of police and then City Manager. When we have an officer down in Phoenix, it is opening news and the community gathers to pay respect. You don’t have to read it on social media — Imagine if you were the wife and 15 & 17 y.o. Kids reading devasting detail about the site, guardrails and guessing if it was texting? Officer Waller’s wife was my roommate and friend. Be careful what you say if it isn’t known to be the truth and remember those family members and friends who will most likely read this too. 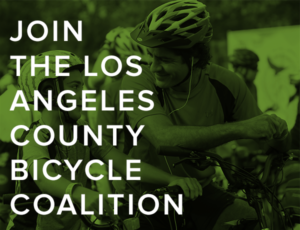 Yeah, bikinginla does get in front of committees and advocates for bike and road safety, and driver education and awareness. And, despite the losses, there’s nothing wrong with using this as an opportunity to remind/teach people how to be safer. Sorry for the losses, i really hope something is done about the distracted driving, it is becoming commonplace with teens and drivers in their 20’s (yeah im picking in certain age groups). Adding lights helps with visibilty and the reviews on the website helped us get great lights that provide visibility. We need to petition to make death by vehicle and automatic expultion of a driver license for life for the driver, regardless of who caused it or accidental. There is no reason you should not be paying attension when you know there may be pedestrians or cyclist that close. Actually, I see older adults (40s) staring at their cell phones than I see the younger age groups. Bottom line is that it’s everyone. My biggest fear is the left curve because a person may continue straight while looking at their phones. However, it appears the straightaway is more concerning because of the false sense of security and drift. We really appreciate the support you guys. Thats my girlfriends dad. Really means a lot. Time for us all to realize that the OC roads are not safe for cyclists. We are exposed to a 2 ton auto when we are riding next to them. One mistake and its death or major injury for us. It’s our bones and flesh vs their steel and rubber. Been an avid road cyclist for 4 years but have given up riding on the street and now I only ride on bike trails. Can’t get 70 miles per ride but a vigorous 20-30 miles on the trails is good enough for me. Please be careful out there. Perhaps the fact that Mr. Waller was also a former Police Chief of Westminster will push the investigating officers to do their jobs and not just chalk this up to being an “accident.” When one makes a choice take one’s eyes off the road for a sufficient amount of time to have left the roadway, that is not just an “accident.” I don’t know what this woman was doing at the time she killed Mr. Waller, but it was not looking out the windshield to see where she was going. I’m sure this woman feels horribly, but she needs to feel horribly from a prison cell. CHP, OC Sherriff, Laguna Beach PD, or whoever is investigating, honor the memory of your fallen colleague, work this case hard and convince the OC DA to file involuntary manslaughter charges. Cell phones should be automatically disabled once a car is turned on. If not, throw it in your pocket, in a bag, or just away from sight. A text is not worth a life! Was a cell phone involved? Or was she maybe reaching for lip gloss or lighting a cigarette or eating or looking at someone in the car or at something outside the car? There are so many ways we can distract ourselves while driving, the cell phone just increases the odds. It’s just dang scary. And, in this case, so very tragic for all involved. Not sure what the cause was; guess my post was more of a general statement around texting, which is, unfortunately, becoming an epidemic. Young girls (teens or 20s) are the worse drivers and pedestrians. They may not have the “testosterone agressiveness” of young males, but seems the girls are constantly in inane, vapid, jibber-jabber with their friends, whether in-person, cell, or texting. Just 2 days ago, I was descending about 35 mph on my bike. A 20-ish girl staring down at her phone, kept jay-walking into my path despite my yelling at her. She stopped & looked up at the last moment, with a belligerent look — how dare I interrupt her damned texting. My prayers go out to the chief’s family and friends while I wish Kevin a speedy recovery. I ride this road — and Newport Coast — quite often and just cannot understand these collisions. These are not tiny roads in Corsica; these are pretty wide with solid bike lanes. I know some pundits say bike lanes provide drivers with “another” lane but that is complete BS. There needs to be some accountability here! Get behind a wheel and you’re responsible for lives out there: yours and those around you. @valleyball1 – I totally agree with you but you know in real life that doesn’t happen. I take this road to and from work (car and bike) and I’ve witnessed these drivers drift and ride the bike lane as if that solid white line wasn’t even there. I find myself yelling to myself in the car at the driver to get out of the bike lane or they can hit a rider…someone had a good suggestion make those little gouges so when you drive over it you know and it’s annoying to you enough that you get out of the lane. the gouges or tiny bumps is brilliant idea, it keep me alive on a sleepy long drive,,the whole stretch of 133 bike lane without stop light is enough for good lungs work out, I’m a bit worried now riding this road every week-end, this accidents reminds me of 5 kids of Irvine high got killed when their car shattered when they hit a tree on high speed, the driver kid updated his Facebook status 5 minutes before the accident. Seems that gadget now a days are deadly for irresponsible kids or adults..
Yup, it’s a gift and curse technology. I really hope that the driver was not on the phone when this tragic accident occurred. I think rumble strips are an awesome idea! No one likes driving over those for an extended period of time. That’s what they call “driving my Braille”. Damn…horrible news. I think I may have raced mountain bikes with Kevin. He is the CAT 3 series champion this year. My prayers go out to both families. Whether it is PCH, Laguna Canyon or Newport Coast cars think that these roads are a racetrack. Barriers like there are in Dana Point would be a start. Many Canadian cities have cement dividers for the bike lanes. This is Kevin. I’d like to thank everyone who stopped, responded and assisted in this incident. Thanks to all for your wishes & support. Loosing Mitch has has been really difficult for everyone who knew him. It was far too soon. I’m so fortunate to have know & called him my friend for 26 years. @ Dave B, yes that was me in the US Cup Series with you this year. I’ve got a long recovery in front of me but it I will recover. Kevin, though I do not know you personally, I’m quite sure many of us are happy that you are on the road to recover, at least physically. As for Mitch, I knew him personally, hadn’t seen him in years and yet just recently I had been thinking of him. He truly was a great guy and my heart goes out to both you and his family now. I know it’s been a year since the accident, but I think about it all the time. Hope you are doing well. I’m sure it was a devastating loss for you and the Waller family. Blessings to all of you. This is very hard to read for me but gives me peace in a way. I was in the car behind the Corolla and the very first on the scene. I was not able to follow up on the status of the two cyclist but have now. All of this information stated above is accurate and very unfortuanate. Im glad to hear that Kevin was able to recovery after the accident. Be careful out there everyone!